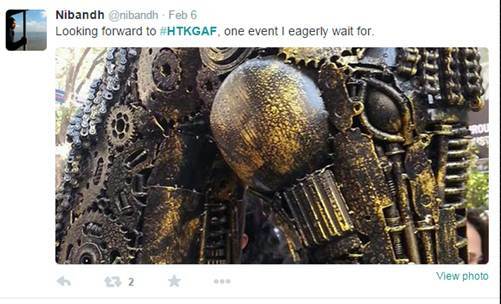 Hindustan Times Kala Ghoda Arts Festival 2015 (#HTKGAF), celebrated between 7th February and 15th February, weaved in social media across each aspect of the festival. 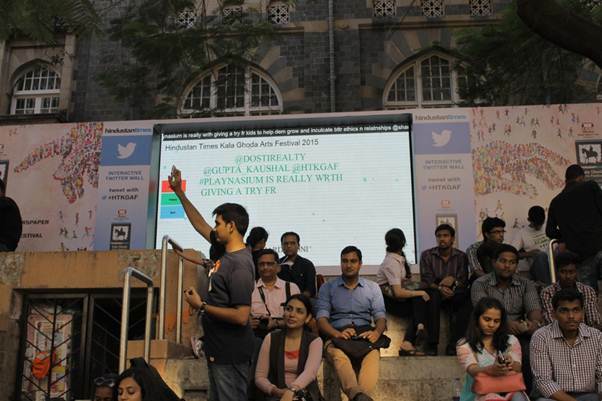 SPARSH or touch, the 2015 theme, was personified by a live Twitter wall, at the event. 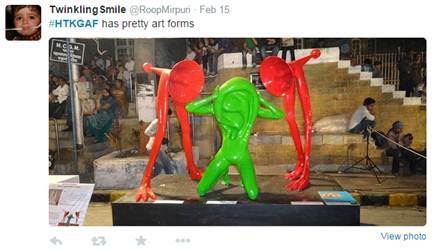 “The Twitter wall at the Hindustan Times Kala Ghoda Arts Festival was first and foremost a digital art installation, the only one at the festival. We also observed that, since it was a real-time wall, people used it as a reference to understand events taking place around them and navigating their way around accordingly. “- Nitin Chaudhary, Business Head (Mumbai), Hindustan Times. 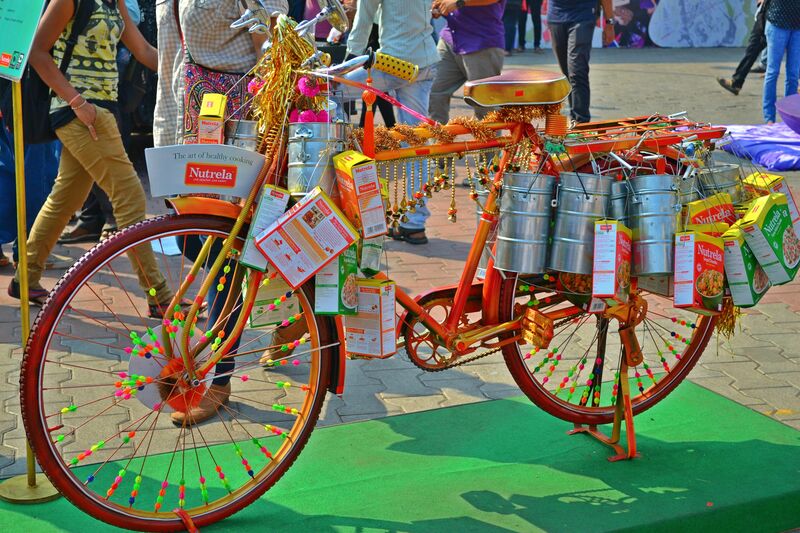 “This year at Kala Ghoda, we wanted to capture the mood of the people in the most tangible way possible. What better way to catch the pulse of the people than a Twitter wall? With an aim to highlight the theme of ‘Sparsh’ underlying the entire festival, we stayed in touch with the variety of emotions the attendees were experiencing,” expressed Girish Mahajan, Head – Strategy and Operations, Digital Quotient. An eager participation was forecasted, especially because of the cult following the festival enjoys. The participation grew exponentially with conversations thumping the micro blogging platform. 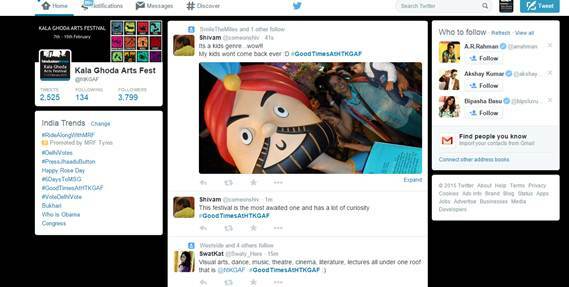 On the launch day, a Twitter activity was organized where people shared previous years’ experience using #GoodTimeswithHTKgaf. 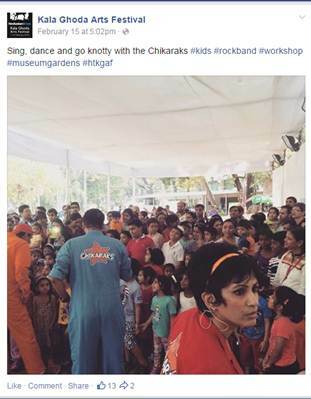 This activity trended at no. 5 in India; received 2500+ tweets, and 5 lakh impressions. The chatter on Facebook and Twitter brought out the best activities and characteristics of the fest. This gave an opportunity to the organizers of the event for analysing massive feedback and tracking the sentiment of visitors. The official Twitter handle of the fest, interacted with fans, asking questions. The responses acted as pull strategy for those who were not at the festival. The festival also debuted on Instagram this year. The account received 136 followers in 9 days. Insta videos and updates clearly marked unique growth in fans through this property. Most of these fans also did an Instawalk, populating the account further. If you happen to visit the account, you will have a visual documentation of the entire event. The Facebook page received highest traction. Not only was it updated with hourly events but, a video was put up, capitalizing on the reach of Facebook videos. Over 15,000 views sit on the video. 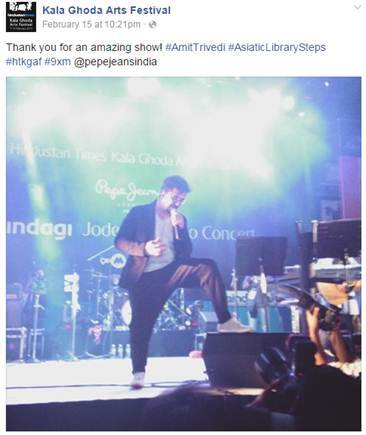 Whether it was the closing ceremony at the #AsiaticLibrarySteps with #Amit Trivedi, or a swaying crowd of 6000+ singing Iktara in unison, live feeds brought the experience to millions others. 2000+ new fans were added to the Facebook page, 34,000+ interactions happened, 22,000 link clicks achieved and over 1 million reach was claimed by the brand. Creating organic user generated content is the best way to brand. While the micro-blogging platform has infinite mini stories, there are rolls of experience on personal blogs. Popular blogs covered the event extensively, with unique photography and anecdotes. #HTKGAF becomes the epitome of event marketing on social media, for its trending competence with #INDvPAK on the same day. The festival made it to the top 10 trending hashtags in the country. 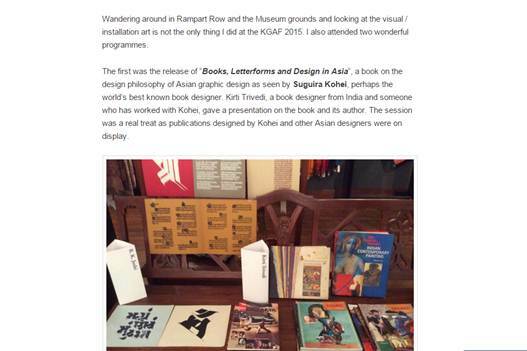 Revamped Kala Ghoda HT website recieved 23,000+ visits and 1.2 lakhs pageviews. 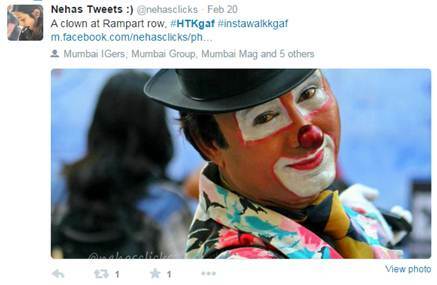 In 9 days, over 10 Lakh people visited Hindustan Times Kala Ghoda Arts Festival; total 591 events took place. We hope to see more unique social media integrations at the event next year. Maybe, RFID!